Before last night, my opinion of cauliflower was not good. It is ugly, tasteless, and a complete waste of stomach space. But I am a proponent of trying new food and retrying food. So I went for it. 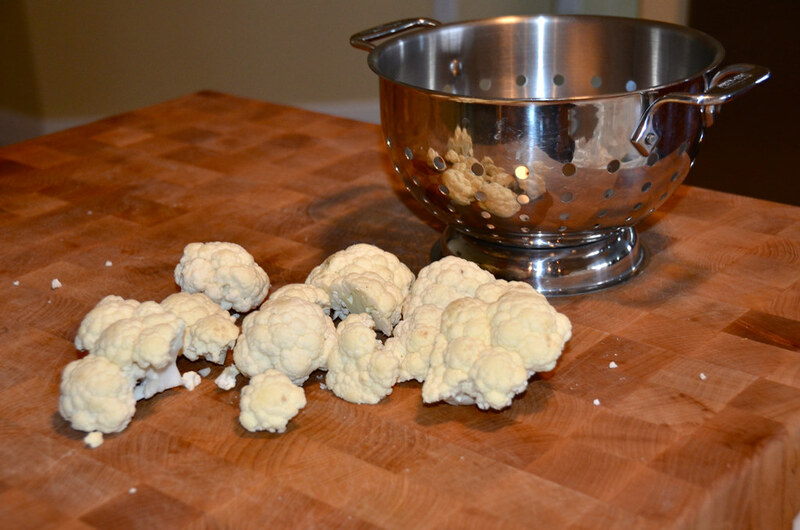 This was my first time cooking cauliflower. Is there a correct way to cut it up? Or do you just treat it like broccoli in a brain costume? Once the tough stalk was removed it pretty much pulled apart. 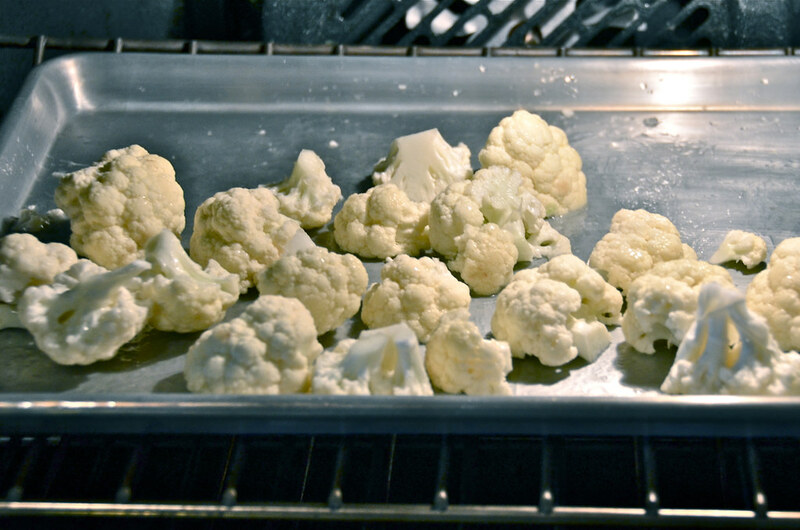 After rinsing and drying the cauliflower, I spread it out onto a sheet pan, drizzled it with olive oil, and tossed it into a 400F oven. After about 15 minutes it started to caramelize. I seasoned it with salt, shook the pan a few times, and then roasted it for another 15 minutes. 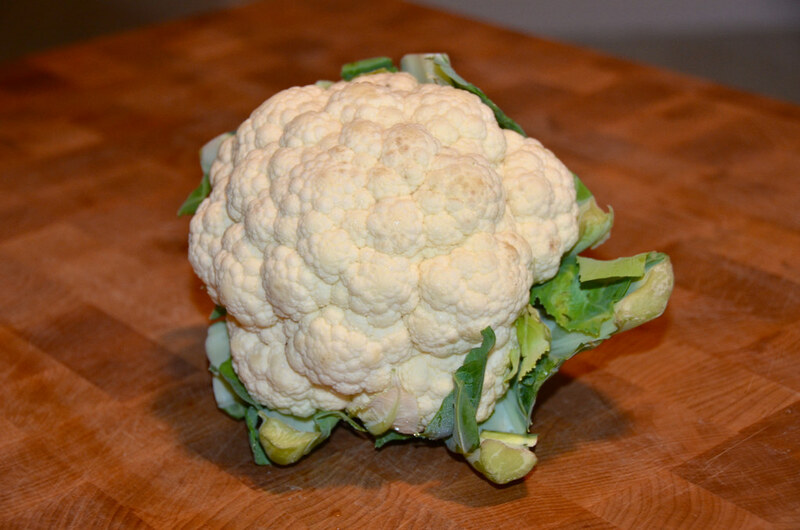 Cauliflower is no longer ugly! And the best part is that it tastes good. Really! 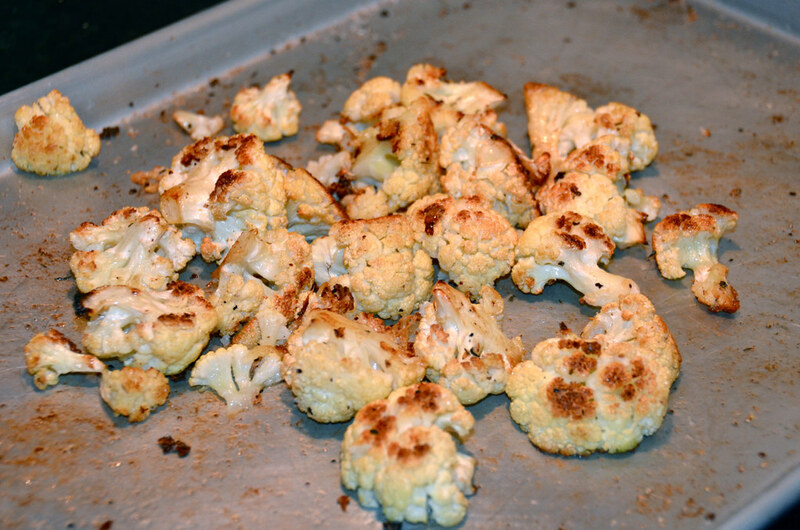 I think roasting it is what changed my mind about cauliflower. The natural flavor intensified and the texture was pleasant, unlike that mush I’ve had in the past. 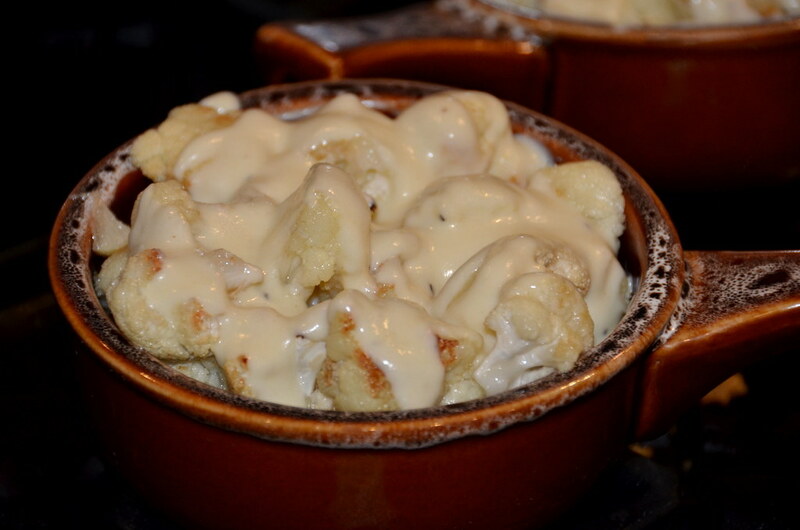 Roasted Cauliflower with Gruyère Sauce is one of my new favorite things to do with Roasted Cauliflower. 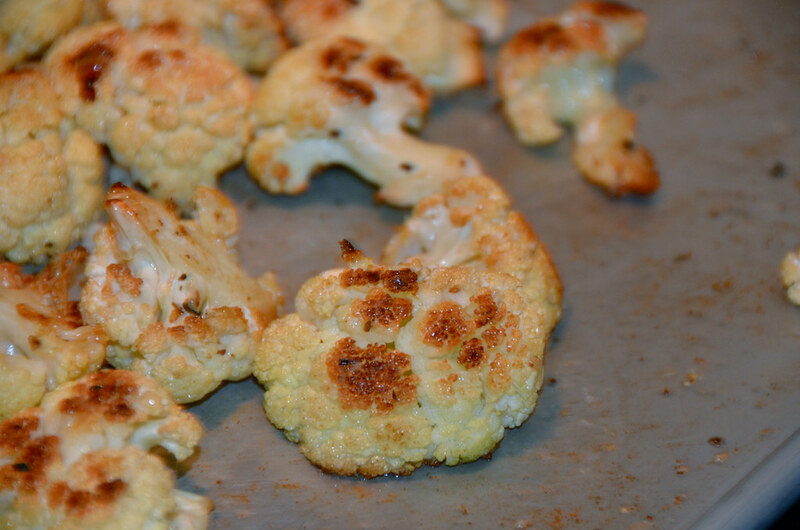 Cauliflower is surprisingly tasty and is an excellent source of vitamin C, vitamin K, folate and fiber. Which means I no longer think it is a waste of stomach space. What food do you hate that you need to retry? 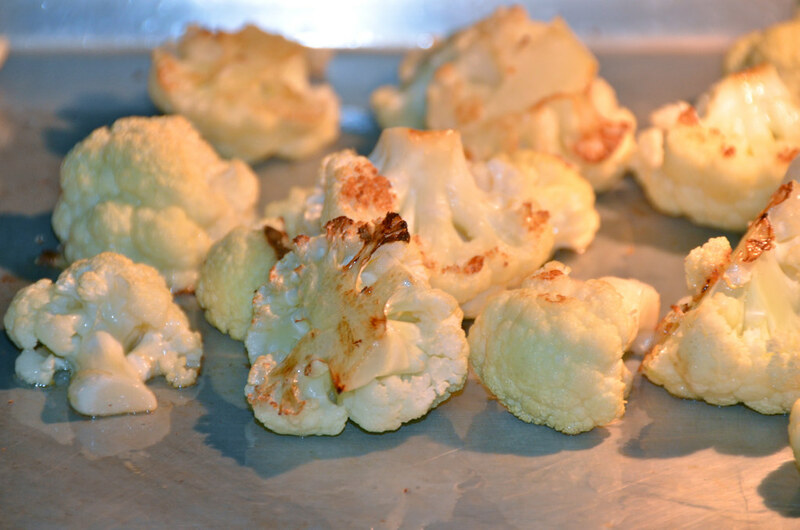 6 Responses to "Roasted Cauliflower"
I ~love~ roasted veggies, but surprisingly I have never tried cauliflower… gonna have to give it a whirl. That Krazy Jane is incredible stuff, but I don’t think there is anything in the world that will make liver taste good. Krazy Jane salt was the only way my parents could get me to eat vegetables when I was kid! I swear by it!! Definitely trying this soon. I’ve never been a cauli fan either but this looks good. I love panko and Gruyère on mine–make that next! Your viewers await!